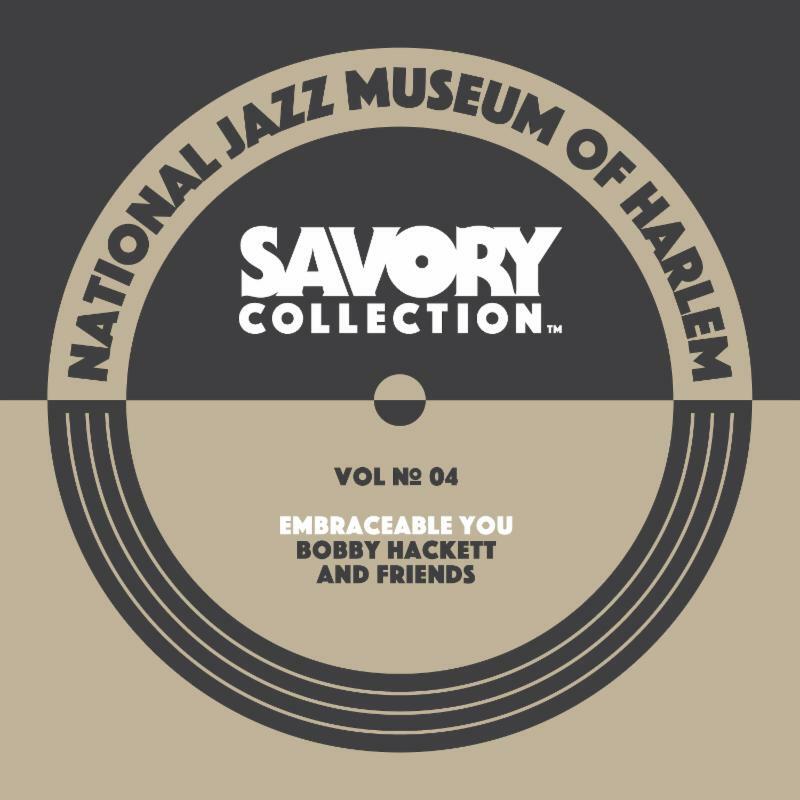 The National Jazz Museum in Harlem’s Savory Collection will release Vol. No. 4: Bobby Hackett and Friends exclusively on Apple Music and iTunes on December 15. The full multi-volume collection of historical archives will feature swing era jazz artists at the height of their artistry and previously unissued performances, all captured in superb sound quality by sound engineer/technical genius Bill Savory. Starting today, a sample track is available on Apple Music, and the album is available for pre-order on iTunes. “In being an integral part of this project since its inception, Apple Music is helping to ensure this wonderful music is not simply limited to jazz collectors’ shelves but reaches a broader audience as well,” said Schoenberg, of the National Jazz Museum in Harlem. As the title emphasizes, the outstanding cornetist Bobby Hackett is prominently featured — on three tracks with his own ensembles and four as a participant led by the fine clarinetist Joe Marsala, with whose group Hackett made his initial impact on the New York scene in 1937. Admired by trumpet giants from Louis Armstrong to Miles Davis throughout his 40-year career, Hackett was already leading his own ensembles by the time of the recordings that open this album after gaining notoriety through his performance with Benny Goodman in his legendary 1938 Carnegie Hall concert. Here he joins baritone saxophonist Ernie Caceres and pianist Joe Bushkin, with Carmen Mastren, Sam Shoobe and George Wettling on guitar, bass and drums respectively, all under Marsala’s keen leadership for a quartet of rollicking extended pieces filled with dynamic ensemble work and inspired solos. These late 1937 recordings contain the popular standards “California, Here I Come” and “The Sheik of Araby,” as well as blues classics “Jazz Me Blues” and “When Did You Leave Heaven” (also covered by heavyweights like Big Bill Broonzy and Bob Dylan). A Hackett ensemble’s participation on a 1938 Paul Whiteman radio broadcast bring us the beautiful Gershwin ballad “Embraceable You” and a stomping take on Kid Ory’s “Muskrat Ramble,” with Hackett joined by the brilliant Pee Wee Russell on clarinet, arranger/valve trombonist Brad Gowans, the piano/bass/drums team of Dave Bowman, Clyde Newcombe and Andy Picard, and legendary guitarist Eddie Condon — whose equally legendary “Condon’s Mob” included Hackett as an integral member. Two years later Hackett got together with an NBC house band to add his own brief but memorable contribution to the “Body and Soul” legacy (to be extended seven years later with his beautiful solo on Frank Sinatra’s unforgettable version). Listeners will also discover three extremely rare recordings by the immortal pianist Teddy Wilson’s 13-piece orchestra, virtually unrecorded in live performances. Recently discovered and to this point the only excellent high audio quality (superb, at that) recordings of this group, these 1939 items feature such masters as tenorman Ben Webster, trumpeters Doc Cheatham and Shorty Baker, altoist/clarinetist Rudy Powell and the sparkling rhythm section of Al Casey, Al Hall and J.C. Heard on guitar, bass and drums. With Wilson’s majestic virtuosity front and center, the band was structured for smooth transitions and elegant voicings, employing the rare — for its time — two trumpet/two trombone brass section creating a uniquely singing dynamic that was as graceful as its leader’s singular artistry and presence. On December 19, Mosaic Records will release a deluxe, limited-edition six-disc boxed set of the Savory Collection available only through mosaicrecords.com.